Any time is a good time to buy a car (at least from North Park Lexus at Dominion), but every now and again, Lexus will release incentives that are too good to pass up. The October incentives are impressive and definitely fall into the “too good to pass up” category. 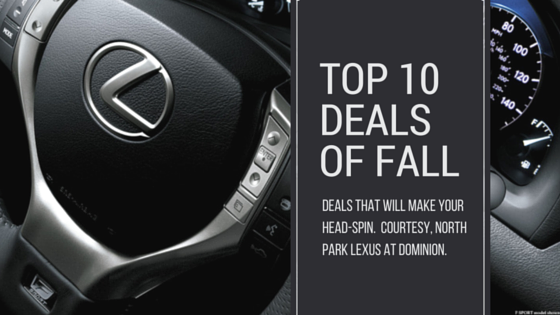 Below is your guide to the best deals available on a new or L/Certified Lexus this month. 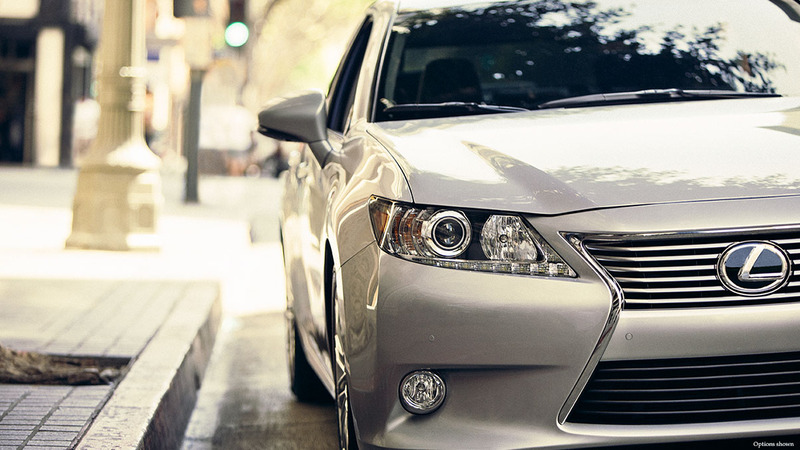 Currently own a Lexus or do you have a Lexus competitor in your driveway? If so, you can take advantage of $5,500 Loyalty or Conquest Cash when you lease or finance a new, 2015 Lexus CT200h with Lexus Financial Services! This $5,500 Reward, plus our recently adjusted model-year-end Posted Prices, makes the 2015 CT200h our pick for the BEST DEAL of the month! 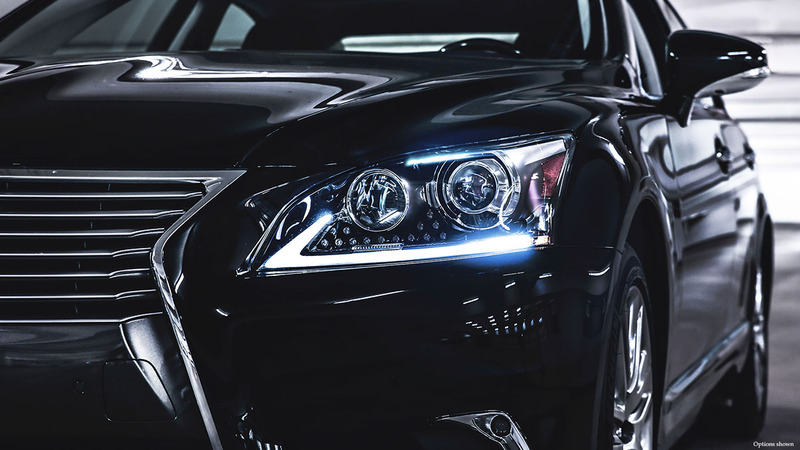 The Lexus LS460 is another deal that is not to be missed! When you purchase or lease a 2015 Lexus LS460 this month, you can take advantage of an additional $5,000. This $5,000 is in addition to the recently reduced Model-Year-End Posted Price on all 2015 LS460 and LS460L’s at North Park Lexus Dominion! 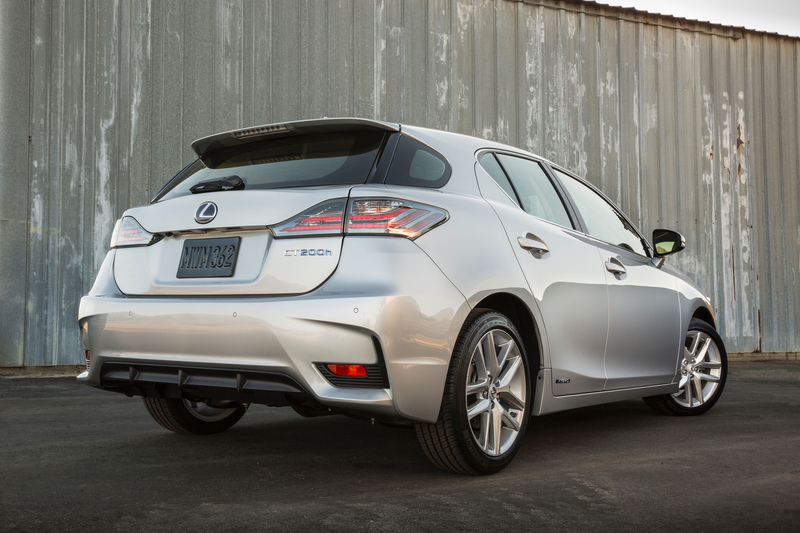 The 2015 Lexus GS350 is another deal of deals for October. Along with aggressive model-year-end pricing, an incredible selection of colors and options to choose from and 2 years of complimentary maintenance from North Park Lexus at Dominion, you will also get $4,000 of dealer cash to sweeten your deal! Not to be outdone, the 2015 Lexus ES350 and ES300h will get you $3,500 dealer cash on top of the exceptional pricing that we have just Posted on all remaining 2015 ES models! 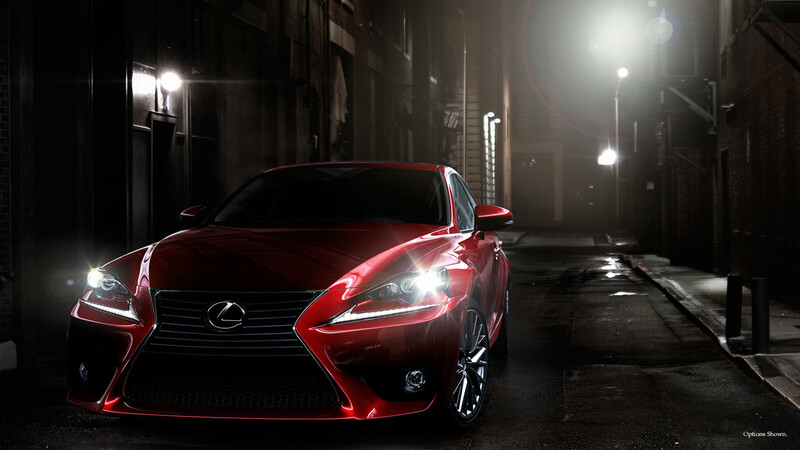 Grab one of the last IS250 models built or get into the impressive IS350 sedan and enjoy $2,500 dealer cash. There is still a great selection available! 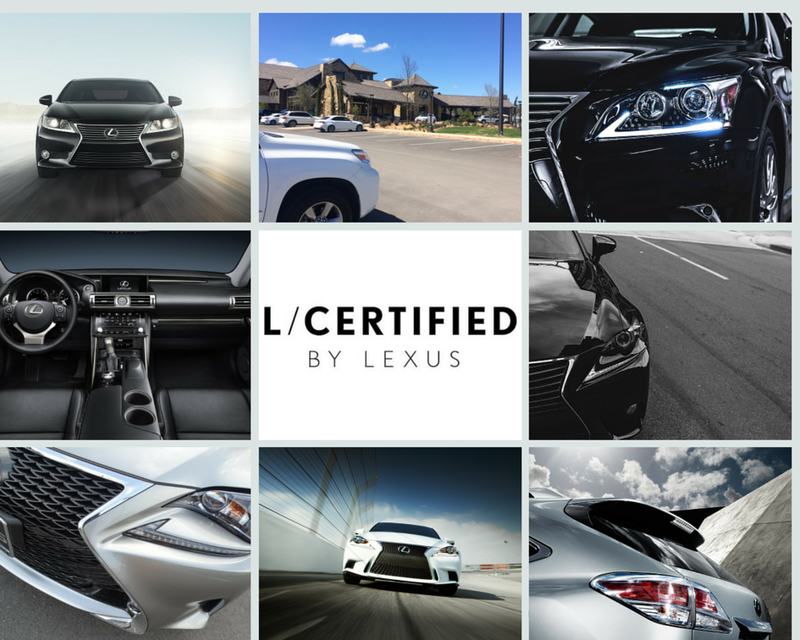 Check them out online by clicking this Lexus link. 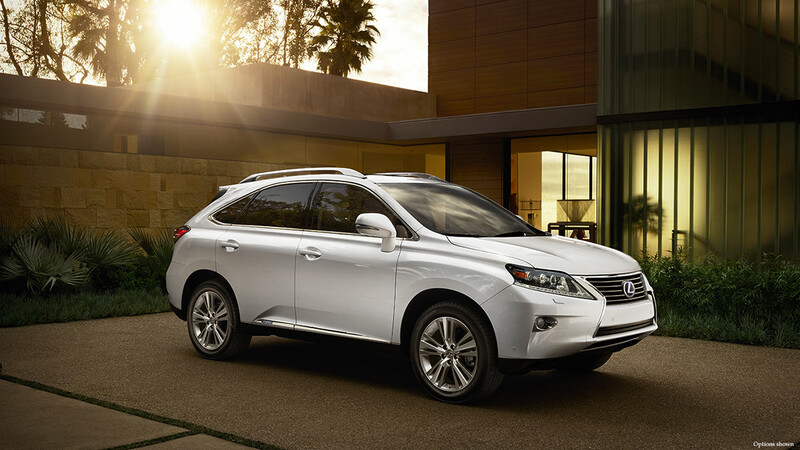 If you’re not a fan of the new, aggressive styling that will be introduced on the 2016 RX OR you just love getting those once-a-year-type deals, then now is the time to lease or purchase a 2015 Lexus RX! This month you can take advantage of either $2,000 Lease Cash or 1.9% financing. 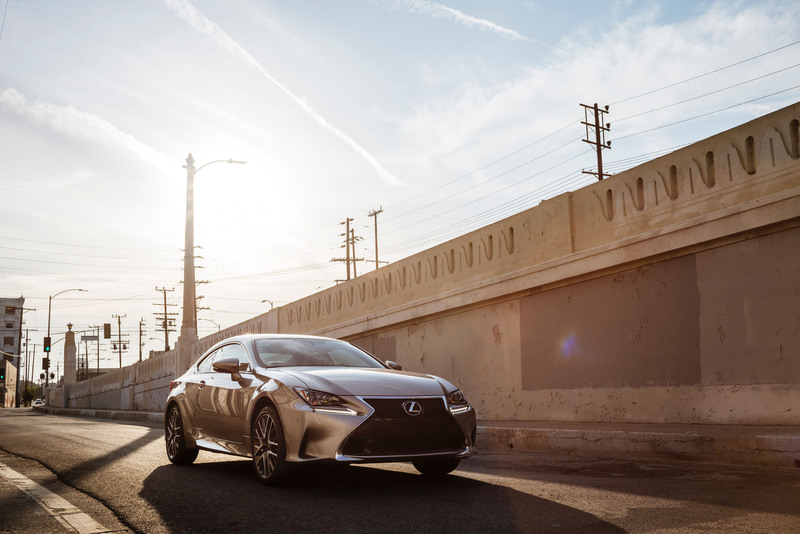 An exciting addition to the Lexus line-up of special offers this month: the 2015 Lexus RC350 coupe! All month long you can get either $1,000 Lease Cash OR $1,000 Finance Cash AND take advantage of special rates!! 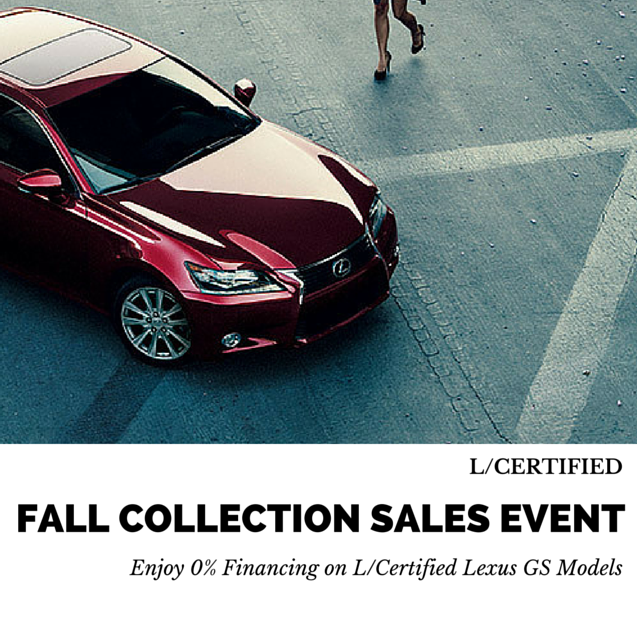 Every L/Certified GS350 comes with 0% financing up to 60 months from Lexus! You also get invaluable peace of mind knowing you just bought a pre-owned vehicle that was hand-selected and meticulously inspected. You also get an included 3 year or 100K mile Lexus Warranty, you first service free of charge and other amazing Lexus owner perks! Purchase any L/Certified ES or RX and take advantage of 0.9% financing up to 60 months! Lexus offers $750 Military Reward Program for all active military and qualified military families. Combining the Lexus Military Reward with any of the deals and specials listed above would make for one rewarding combo-platter of deals! 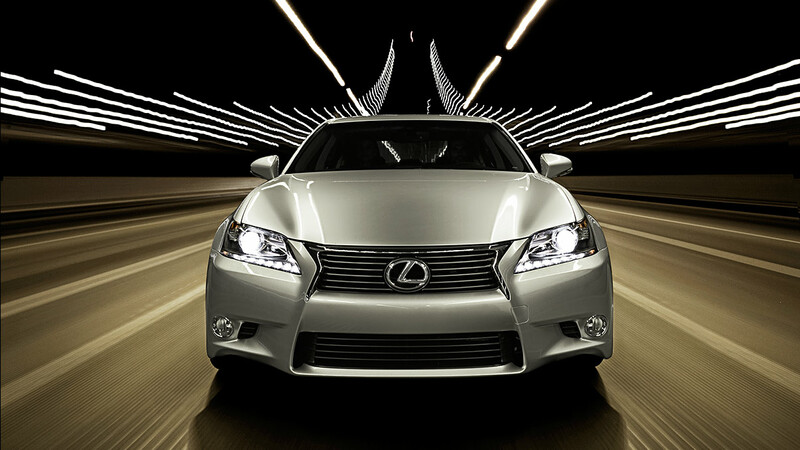 Of course, for the best deal, shop online or inquire through our website at northparklexusatdominion.com. Happy Shopping! !